At Level 6, students analyse events which contributed to Australia’s social, political and cultural development. These events could include: Vietnam War. Students analyse the impact of some key wars in the twentieth century. They explain their influence on people’s lives, national events and international relations. 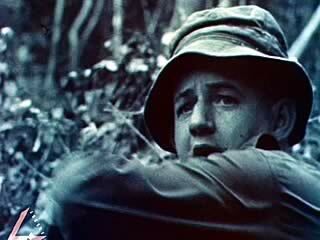 Imagine that this piece of film is the only evidence you have of a soldier’s experience of the war. What would it tell you or suggest to you about the experience? To gain a fuller understanding, list and then locate sources that would be good ones with which to compare this clip.